Receiving the two boosters, ground crews will be tasked with unloading them from the ships and put them through post-flight safing with one booster in slightly less toasty condition entering refurbishment for a future mission and the other, well roasted first stage heading into inspections before retirement after a pair of operational missions. Moving through its busy 2017 manifest at brisk pace, SpaceX managed to pack two launches into this week, starting off on Monday with the company’s third mission in support of the deployment of the Iridium-NEXT constellation. Falcon 9, featuring brand new Block 4 first and second stages, lifted off from SLC-4E at Vandenberg Air Force Base before sunrise on Monday, successfully delivering the ten satellites into their planned 620-Kilometer orbit and returning the first stage, designated Booster #1041, to the ‘Just Read The Instructions’ Drone Ship waiting 244 Kilometers south of the California launch site. The second Falcon 9 launch of the week occurred at sunset on Wednesday from Kennedy Space Center Launch Complex 39A, featuring a previously flown first stage lifting off with the SES 11 broadcasting satellite. Having flown for the first time back in February on a Dragon resupply mission, the booster was facing a more challenging landing as SES 11 required higher performance from the launch vehicle to reach its desired high-energy transfer orbit. Coming in hot and heavy, Booster #1031 successfully managed to find the Drone Ship ‘Of Course I Still Love You’ located 636 Kilometers from Cape Canaveral, battling choppy seas to provide a stable landing platform to the booster. 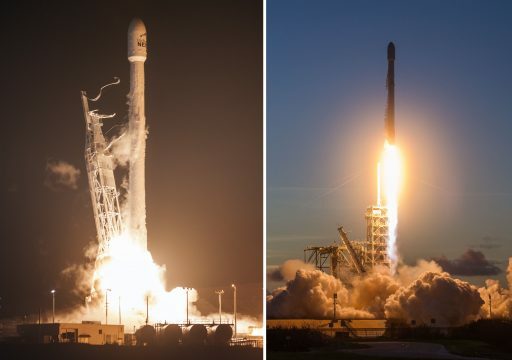 This marked the second time both SpaceX Drone Ships were out at sea with Falcon 9 stages sitting atop after the Iridium-2 booster and twice-flown BulgariaSat-1 booster returned in close succession in June 2017. This week’s Drone Ship landings increased SpaceX’s streak to fourteen successful recoveries in a row and improves the company’s stats for sea-based landings to 11 out of 16 tries. All seven landing attempts on pads on land have been successful, giving SpaceX a total of 15 recovered boosters including three that have flown to the edge of SpaceX and back twice. 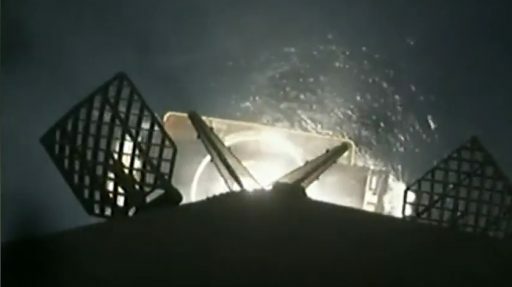 After landing, the boosters were safed remotely to ensure their tanks were at safe pressures and any ordnances were secure before engineers were allowed to re-board the Drone Ships to tie down the first stages for their trip into port. 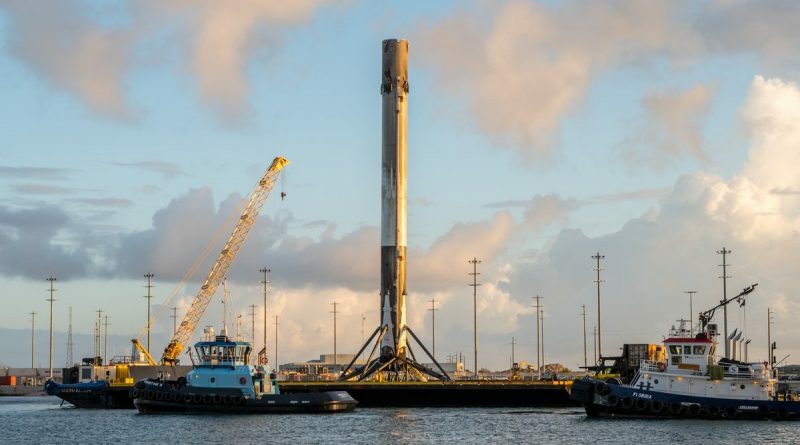 Both recovery campaigns were not without issue as engineers in the Pacific had to hold off on re-boarding the Drone Ship due to rough seas, though booster 1041 remained in position close to the center of the prominent SpaceX logo painted on deck to mark the bullseye landing target. In the waters of the Atlantic, Falcon 9 Booster #1031 was leaning to one side after using up some of its crush core capability when making its twilight touchdown. This apparently precluded the Octagrabber or Roomba from being used to remotely secure the first stage as images show the traditional jackstands were used to tie it down on deck for the journey back to port. Booster #1041 arrived at the Port of Los Angeles Thursday morning and was lifted off the Drone Ship and onto a ground stand by Friday for the removal of its landing legs, draining of leftover fuel and igniter fluid and transfer to a horizontal position to return to SpaceX’s manufacturing base in Hawthorne, just over 20 Kilometers north from the port as the crow flies. On the East Coast where most of SpaceX’s recoveries have occurred so far, the stage was set for an early Sunday morning arrival of Booster #1031 with the Drone Ship holding clear of the cost until being allowed into Port Canaveral. Prior to its arrival, the Go Searcher support ship headed into port with what appeared to be a piece of the rocket’s payload fairing, indicating SpaceX is making quiet progress in the area of fairing recovery as the expectation is for fairing re-use to be realized at some point next year. 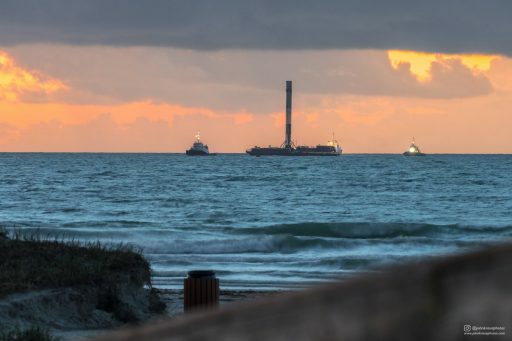 ‘Of Course I Still Love You’ was towed into Port Canaveral around sunrise, marking 1031’s first return through port since its first mission ended with a land-based landing at Cape Canaveral’s Landing Zone 1, enabled by plenty of surplus propellants on Low Earth Orbit deliveries. Comparing the two stages that returned to shore this week, the differences between Low Earth Orbit and Geotransfer Missions become obvious. Booster #1041, although appearing much darker than when it departed California due to soot deposited onto its fuel tank section, is seen in almost pristine shape with no obvious damage and four perfectly intact grid fins, minus the loss of some of their coating. The twice-flown 1031 on the other hand, suffered a bit more as it faced much higher entry energy. Although the #1041 vehicle carried a heavier load than #1031, delivering payloads to Low Earth Orbit leaves the first stage with plenty of excess performance. 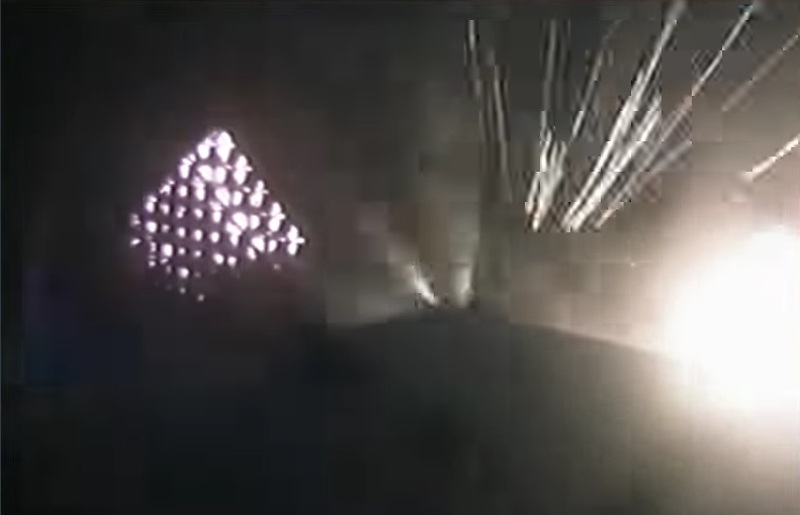 This allowed Booster #1041 to conduct a boost-back maneuver immediately after sending the second stage on its way, hitting the brakes and shortening its downrange travel distance. A 13-second burn at re-entry slowed the booster to 871 meters per second for atmospheric entry. Sending the Falcon 9 second stage with SES 11 on its way toward Geostationary Transfer Orbit required Booster #1031 to fire its engines 12 seconds longer than #1041, consequently accelerating the vehicle to a higher MECO velocity (2.29km/s vs. 1.93km/s for Iridium-3) and burning propellants that would not be available for a boost back maneuver. As a result, #1031 could only make a twenty-second braking maneuver just before re-entry, slowing down to 1.66 Kilometers per second (hitting the atmosphere 793m/s faster than #1041). Kinetic energy increases as a square of the velocity and peak heating as a cube of velocity – explaining why even a slightly higher MECO velocity/entry speed will have a considerable effect on the stage’s return journey. Onboard video from Booster #1031 showed the vehicle immersed in plasma as it hit the dense atmosphere en-route to a post-sunset landing on the OCISLY Drone Ship. 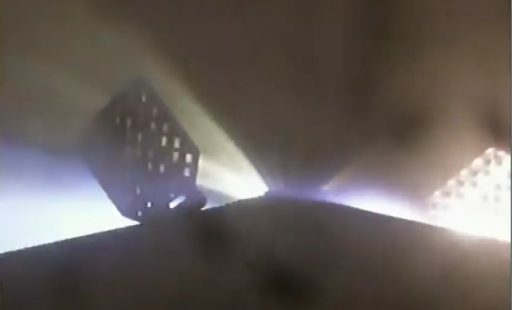 Pieces of the engine section heat shield were seen flying off and the aluminum grid fins were glowing white hot before onboard video cut out. Photos of the booster after its return showed part of the grid fins facing the hypersonic flow had burned away and molten aluminum had been deposited onto the interstage downstream. 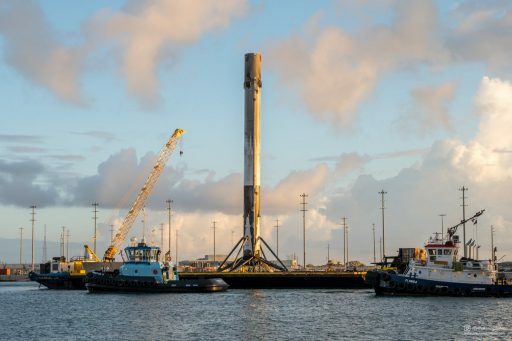 Although Booster #1031, a Block 3 vehicle, is unlikely to fly to space a third time, its recovery will provide SpaceX with additional data on how repeat mission cycles affect the different components on the booster. This knowledge can be used to tweak the design of the Falcon 9 Block 5 vehicle that will represent the launcher’s final design iteration, optimized for high performance and easy re-use of the first stage without extensive refurbishment work in between flights to realize SpaceX’s goal of considerably cutting costs for access to space. 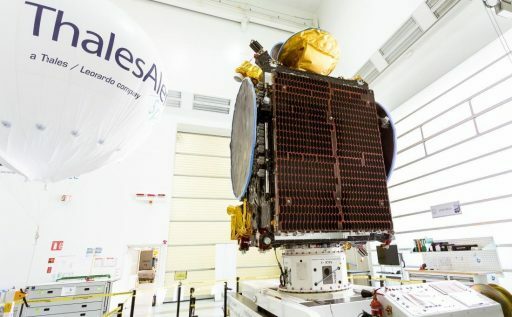 With both boosters back on dry land, SpaceX will begin shifting focus to its next mission, still targeting an October 30 liftoff from LC-39A with the KoreaSat-5A communications satellite. After that, a previously undisclosed mission has shown up on the East Coast manifest – going only by the code name Zuma with no payload or customer associated with it. 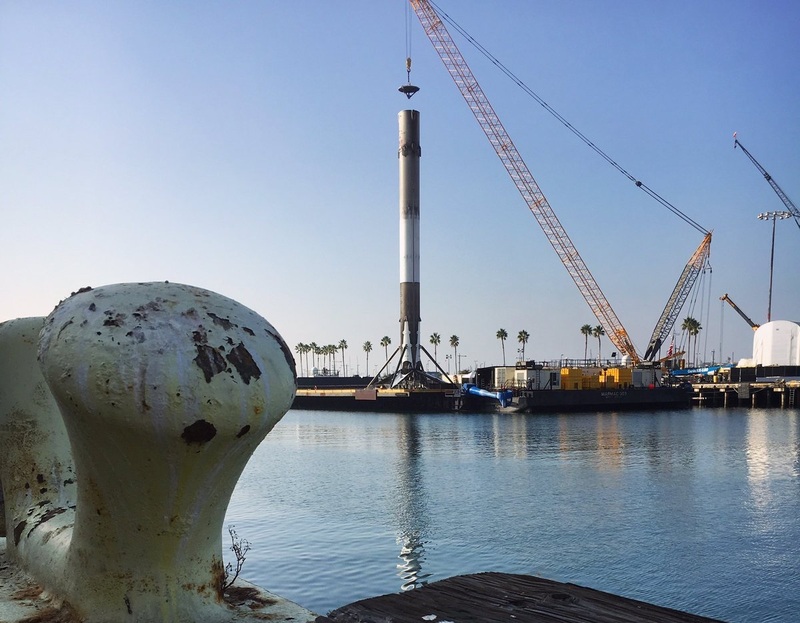 This flight, documentation filed by SpaceX with the Federal Communications Commission shows, is targeting launch as early as mid-November with filings indicating the mission would feature a Landing Zone 1 recovery of the first stage. It is highly unusual for a mission to remain secret until this close to launch. 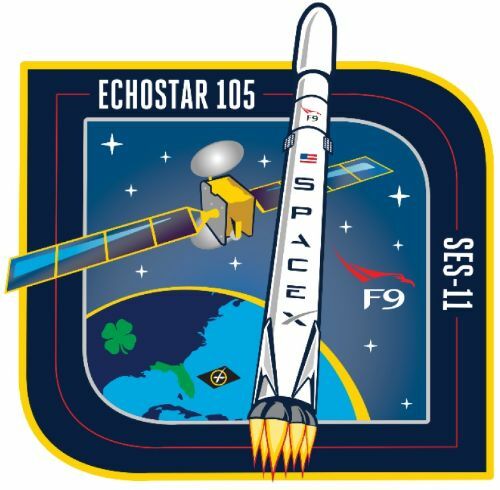 After the mysterious Zuma launch, SpaceX will move Falcon 9 east coast operations back to Space Launch Complex 40 that was knocked offline on September 1st, 2016 – sustaining extensive damage in the explosion of the Falcon 9 rocket carrying AMOS-6 during the countdown toward its Static Fire Test. 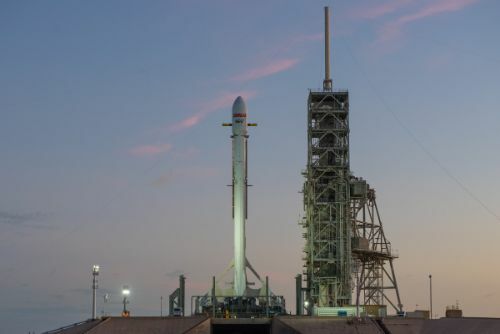 Moving back to SLC-40 with the Dragon SpX-13 mission (NET Late November), SpaceX will be clear to enter outfitting tasks on LC-39A to set up for the inaugural mission of the three-core Falcon Heavy rocket.